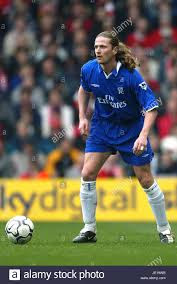 Former Chelsea and Arsenal midfielder Emmanuel Petit has compared the Blues’ current situation under Maurizio Sarri with the ‘dark times’ the club went through prior to the sacking of Jose Mourinho. Chelsea dropped out the Premier League top four at the weekend with Sunday’s 6-0 defeat by Manchester City – the Blues’ biggest loss in 28 years – their fourth away defeat in a row. 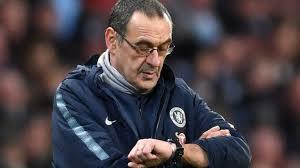 Sarri’s system is showing numerous flaws and his insistence on refusing to change anything has led to calls he should be sacked as he is not suitable for the job. The Italian is believed to retain the backing of the Chelsea board and many of his players, but given Arsenal and a resurgent Manchester United now sit ahead of them, the Blues face a real fight to qualify for next season’s Champions League by securing a top four finish. Sarri has shown over the past couple of months that the pressure of being in charge of the Stamford Bridge club may be getting to him, and Petit believes the former Napoli boss is ‘losing the plot’ – much in the same way Mourinho did before his second spell as Chelsea manager came to an end with his December 2015 sacking. “His body language in a recent press conference showed this, as did what he did with Guardiola on Sunday [not shaking his hand]. “Things like this shouldn’t happen, and when they do you show everyone – fans, journalists, players – that you’re losing the plot. Chelsea have a tough run of fixtures coming up with two clashes against Malmo in the Europa League either side of next Monday’s FA Cup fifth-round tie with Manchester United. The west Londoners then take on Manchester City in the Carabao Cup final, before hosting Tottenham three days later as the Premier League returns. Getting through this run of matches with nothing but victories will be nigh-on impossible, and Petit suggests Sarri could lose his job with another bad result. “Over the last few games,” he continued, “I have seen some things on the pitch that makes me wonder why Sarri wants to keep going with his current approach. “Sarri said he is a strong man, that he has a vision for the team and will ignore the critics, especially in relation to Jorginho and N’Golo Kanté. He said that he would stick to his guns. “I understand and I appreciate that – I respect it – but I think he has forgotten something very important: he doesn’t have to convince the press or the fans, he has to convince his players. And for the moment it’s difficult to believe his players are confident about the way they play and the way he wants them to play. “What I saw on Sunday against Manchester City said it all: poor performances individually and collectively; no rage on the pitch; the body language. “Sarri said himself he didn’t know whether or not he could motivate his team. In terms of communication, the last few weeks have been bad for him. What he did after the City game – not shaking Pep Guardiola’s hand – showed a lack of respect. So, I think he’s in big trouble mentally, and he’s in big trouble when it comes to showing his players he’s still the right man. “Should Sarri be sacked right now? When Roman Abramovich feels the pressure like this, he doesn’t dwell on feelings, he just cuts down the tree. “He did it with Jose Mourinho and he did it with Antonio Conte after winning the Premier League, so he will have no emotion about doing the same with Sarri. 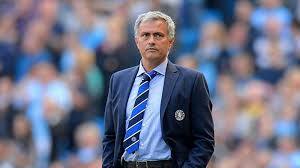 “If the next result is a bad result, that could be the last game for him.